Those with a creative ﬂair often turn to writing as a way to express their thoughts and dreams. However, writing a novel is an enormous undertaking which can take up many months or even years of your life. Getting published re presents a whole other level to the process and given just how difficult it is to get your work into the public eye, you’ll need to work hard to polish your manuscript and hone your writing skills to perfection. Unless you intend to write only for yourself or for a very small audience consisting largely of friends and family, it is important to take some extra steps to make your writing more engaging and more sellable. Your dream might involve writing an epic fantasy novel series of the likes of Game of Thrones or Wheel of Time, but choosing such a heavyset project for your first is usually going to end up leading to reams of unpublishable content. Publishers and literary agents will rarely go anywhere near new authors unless they present them with relatively small, risk-free works first. Starting small also presents a reduced risk of wasting time, and it gives you ample opportunity to develop your writing skills. You might have the perfect premise for a novel, but you’ll also need to adapt it in such a way that others will enjoy reading it as much as you enjoyed writing it. Establishing a target audience is one of the most important first steps to take, since it will help you to keep your focus and increase your chances of delivering a relevant masterpiece that goes above and beyond the expectations of your readership. Always decide on your audience demographics before you put pen to pa per. Great novelists do what they do because they have a genuine passion for their work. Publishing is an entirely separate issue, but that’s where the financial questions come in. With regards to the writing itself, it is imperative that you use the opportunity to unleash your creativity and become completely absorbed in the world and the world and the characters you are creating. If you cannot passionately immerse yourself in your work, your readers will have no chance of connecting with it. Few successful authors aren’t also avid readers themselves, and it shouldn’t come as any surprise that reading can be a highly educational and enlightening pastime as well. However, while it’s not a bad idea to read everything you can lay your hands on, it makes sense to focus on genres other than your own. By focussing on other genres, you’ll be less likely to end up copying the works of others, but you’ll still be able to improve your writing style by drawing on the success of others. The point of view (POV) refers to the way in which you tell the story. When it comes to novels, by far the most common are the omniscient and limited POVs. In the case of the former, the author enters the minds of any of the characters, but this often leads to confusion unless every character is expressed as distinctively as possible. By contrast, the latter tells the story from the POV of specific characters, one at a time, typically divided by chapters or subchapters. In longer novels, it is easy for authors to lose track a few times along the way, leading to various plot holes and inconsistencies. To reduce the chances of this happening, it makes a lot of sense to plan your novel carefully, particularly after the first draft is complete. Write character profiles for each of your main characters, and do the same for any fictitious settings and other things. You can reference these profiles later on in order to maintain consistency throughout your work. No novel will be ready after the first draft. In fact, it’s often a good idea to write the first draft with little or no planning and preparation whatsoever. Authors often see the first drafts of their manuscripts as nothing more than extensive lists of notes waiting to be refined and turned into a proper novel. Any novel will need extensive editing and at least one complete redraft to make it anything near ready for submission to literary agents and publishers. Prologues are particularly common in works of fantasy and science fiction, but they’re found in many other genres as well. However, more often than not, prologues are annoying or misleading, especially if they introduce a distant backstory and characters that are not brought on stage again throughout the book. 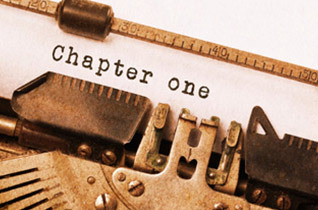 If there’s an important backstory to the universe of your novel, it is often wiser to gradually introduce its important elements throughout the rest of the novel instead. Although unavoidable in certain situations and genres, you should be wary of using overly obscure words and jargon. It you’re using big words just to impress your readers, you’ll quickly end up distracting them from the story. The same applies to using cliches and commonly overused adjectives. For example, if you’re using phrases such as ‘suddenly, all hell broke loose,‘ your writing will quickly start losing its credibility. When conveying dialogue, excessive use of adverbs and any other verbs than ‘§rid’ often ends up looking intrusive and detracting from character development. The actions and dialogues of your characters should be the primary way to develop their personalities and make them literally jump off the page. Butting in as the narrator can quickly interrupt the story and lead your readers astray. The same applies to using exclamation marks, which should be used very sparingly indeed. It is important to remember that a novel is, above all, a creative work, characterized by a distinct and consistent style. Trends also come and go. For example, it was common among nineteenth-century fiction writers to include hugely long descriptions to introduce new characters, but modern audiences tend to prefer more active prose. However, all of the above tips should only be seen as guidelines because, if there is one absolutely universal rule about fiction writing, it is that there are no rules. Learn more about professional writing services online and view examples including: essays, research papers, term papers, dissertations, research proposal, admissions essays, argumentative essays, and book reports just to name a few.